We are a small professional Business Web Development company based a couple of miles away from Guildford in the village of Chobham Surrey. We specialise in providing all aspects of Web Development for our customers including custom business website design, web site updates and modifications, social network setup & consultancy, search engine optimisation, web site hosting and website domain registration. Our past business customers near Guildford include Clinics, Garages, Hotels, Offices, Restaurants, Shops and Surgery’s. Our experienced in-house web development engineers near Guildford can develop sites of any size and complexity for you, from a small single page holder page to a multi page brochure website though to large ecommerce shopping sites and online databases. We do not use templates or outsource our work, so you will never run the risk of one of your competitors having the same site. Is your site looking a bit tired and dated? Or not bringing in the type or quantity of enquires you require? We provide a full web site upgrade and enhancement service to bring your site bang up to date by adding all the features and functions that people expect from a modern site, including adding videos and integrating your site with facebook and twitter. If your web site is languishing at the bottom of the search results page, we can re engineer and optimise your site to help drag it up the search rankings. Does twitter and facebook confuse and baffle you? We offer a full social network consultancy service; we can meet you and go over how they work and how they can help your business. We can setup accounts for you and even run them on your behalf if you don’t have the time or inclination to do it yourself. Twitter and Facebook Account Creation. Integration of Social Networks To Your Site. Consultancy On How To Get The Most From Social Networks. The above list is only a small subsection of the services we offer to our customers, if the service you require is not mentioned please contact us, and we should normally be able to help. We cover the whole of the UK, in fact we have customers all over the world, but we like to focus on customers in our local area of Guildford and the surrounding area as we find offering a “face to face” service bring the best results. If you would like more information on our business web development services in Guildford please Contact Us to get a FREE quote and or visit our Website Design and Creation section. We are a small professional website design company based just a few short miles from Guildford in Chobham Surrey. 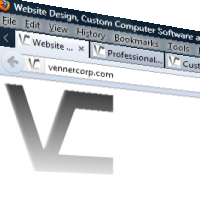 We specialise in the creation of custom sites for both small and medium sized businesses. Our past customers include garages, restaurants, shops, hotels, clinics, surgery’s, offices and one man bands. We try to focus on clients in our local area as we prefer to offer a face to face service, but we have customers all over the world. We offer a full website Design and creation service for large and small business. Our in-house engineers are experienced in creating websites or all sizes and complexities, from a single 1 page holder page to multi page “brochure” websites to full blown ecommerce websites. We do not outsource our work or use templates, so you won’t run the risk of a competitor having an identical website. Is your Website looking a bit tired and dated? Is it not offering all the features you require or not bringing in enough customer enquiries? We offer a full upgrade service, we can give your site a full overhaul bringing it up to date with all the features and functions please expect from a modern website. Or we can just update the text or add an additional page if that is all you require. Does facebook and Twitter confuse and baffle you? Are you not sure what they are about or how they can help your business? We offer a full Social Network consultancy service – We can help you setup accounts, integrate them into your website and even run them on your behalf if you don’t have the time or inclination to deal with them. We mainly cover the Guildford to Windsor corridor as we prefer to be able to offer a “face to face” service. Amongst the towns and villages we cover are Chobham, Woking, Sunningdale, Wentworth, Godalming and Camberley. We also have clients all over the world, so if you are outside this area please contact us as we will normally still be able to help. If you would like more information on having a business website designed in the Guildford areas please Contact Us to get a FREE quote and or visit our Website Design and Creation section. We are a small specialist website design and creation company based in Chobham,Surrey just a few short miles from Guildford. We have a large and varied customer base including shops, clinics, surgeries, restaurants, hotels, medium and large international businesses. We pride ourselves on our friendly and personal service. We can create websites of all sizes and complexities for our customers including single page temporary holder pages, multi page information sites and large brochure and e-commerce shops. Our engineers are all fully trained all in the latest technology’s and methods and we never outsource our work or use templates. Is your site looking tired and old fashioned, not bringing in the type of enquires or sales you and your business needs and or sitting at the bottom of the search engine rankings? We can redesign and modernise your website, implementing all the features that people today expect, including integrating your website with social netowkrs such as twitter and facebook. Not sure what twitter and facebook is all about, and how they can help your business? We can talk you through the social networks, explain what they are all about and how they can help your business. We can also set-up acc0unts and run them on your behalf if you wish. We primarily cover the Windsor to Guildford corridor, including Ascot, Egham, Virginia Water, Camberley, Chobham, Woking, Dorking and Godalming. But we also have clients all over the world, so if you are outside this area please contact us as we will normally still be able to help. If you would like more information on our Website Design and Creation services or to request a quote please Contact Us and or visit our Website Design and Creation section. We are a small friendly and professional business offering a full range of IT services including Website Design and Creation, Website Updates and Modernisation, Website Consultancy and Search Engine Optimisation. Looking for a new website for your business, club or society? We offer a full range of website complexities and designs from simple single page holder pages, to multi page product brochure websites sites, all the way to full blow E-Commerce online shops. All our designs are custom made to your specification, we do not use templates or outsource our work. We can also purchase and setup any domain names and web hosting you may need. Is your site looking a bit tired or old fashioned? Is your site not bringing in the types of results you and your business need? We can bring your site up to date, adding all the features a user expects from a modern website. Including recording and uploading videos and integration with social networks. We can also optimise your website to stop it languishing in the search engine results. Do social networks confuse and baffle you? Or your not sure how to use them to get the most from your business? We can talk you though all the ins and outs of the the popular networks and integrate them into your website. If you don’t have the time to deal with them yourself we can even set them up and run them on your behalf. The above list is not exhaustive, if you don’t see the service you require please still drop us a line as we can normally still help. 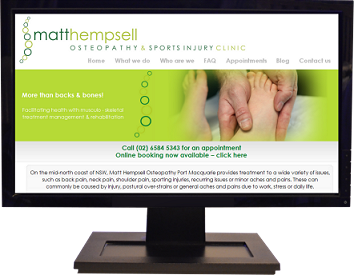 If you would like to view a small selection of the websites we have created for our clients, check out our website samples page. The majority of our customers are in the Guildford to Windsor corridor including, Ascot, Sunningdale, Chobham, Camberley, Woking, Knaphill, Dorking and Godalming, but we have customers all over the world, so if you are outside this area please still contact us. If you would like more information on our services or arrange a quote please contact us and or visit our Website Design and Creation section. We offer a personalised Website Design service for small and large businesses in the Guildford and Surrey areas. From simple brochure websites sites providing a simple presence and allowing customers to find and contact you to large ecommerce / shopping sites, online databases and portals for your staff to remotely access. All our sites are custom designed and built with you during in person on site visits, we also allow you to see the progress of the site during the build process allowing you to tweak your design. We can also setup and manage online company Blogs, Twitter accounts and Facebook Pages. If you would like to see some sample websites that we have designed for other businesses please contact us. Visit our Website Design Page or Contact Us for more information or to arrange an onsite visit.